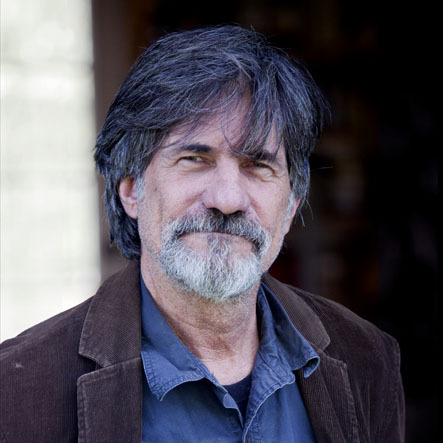 Jack Fisk has an amazing career designing the films of auteurs including Terrence Malick, Paul Thomas Anderson, and David Lynch. He designed every Terrence Malick film including The Thin Red Line, Days of Heaven, The New World, Badlands and the recent Tree of Life. He received an Oscar nomination for Paul Thomas Anderson’s There Will Be Blood and also designed his upcoming 50’s era release, The Master. For David Lynch he designed the dreamlike Mullhulland Dr.
AS: Did you go to art school? JF: I went to Cooper Union here in New York for a year then I went to Pennsylvania Academy of the Fine Arts in Philadelphia. In 1970 David Lynch and I went out to California to seek our fortunes – or at least find a job. AS: Did you know David Lynch from before? JF: David and I have been best friends since high school and we went to art school together. He’d been accepted into the American Film Institute and I decided to go to California too. After a few months I got my first job as an art director. I had only worked on a couple of films, but Jonathan Demme hired me to be art director on a Roger Corman film Angels Hard as They Come. Steven Katz, the cinematographer, was a friend, I called Steven and said, What does an art director do? and he says, I don’t know!